The iLESSYS® Pro Set contains specially developed instruments for a comprehensive but gentle and, above all, tissue sparing decompression. 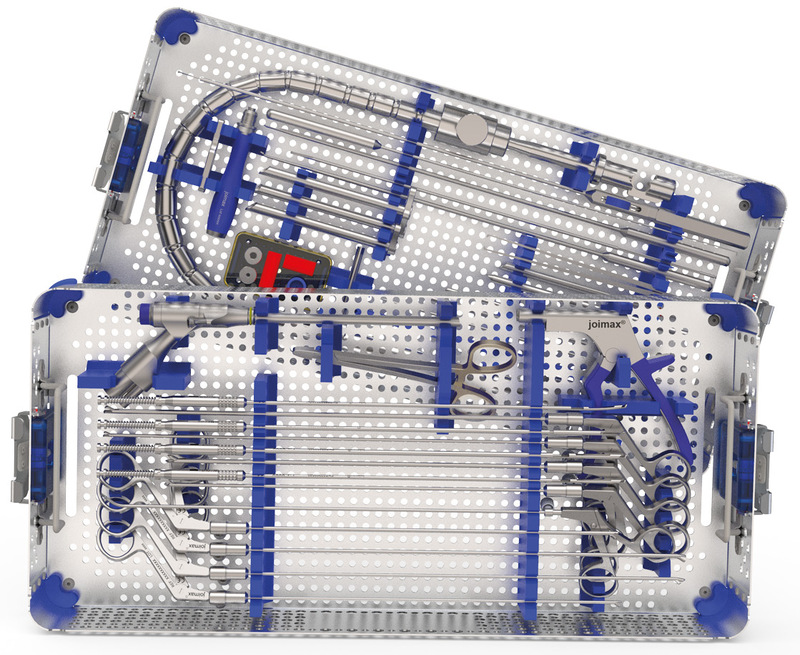 The 4.7 mm working channel of the new LaminoscopeTM allows the use of large Shaver Blades for bone resection, powerful grasper forceps for removal of large fragments of soft tissues as well as specially developed Endo-Kerrison punches with different tips. The forceps are equipped with the patented “Luer Overload Protection System – LOPS”, which prevents overloading of the forceps and thus ensures a long service life. The powerful grasper forceps in the instrument set allow removal of larger fragments of soft tissue under endoscopic view. The Endo-Kerrison Punches are used to remove bone, capsule tissue, ligament flavum, etc. under Endoscopic view. The shaft is interchangeable and available in different versions. The outer diameter is 3.0 mm – 4.0 mm, with 1.5, 3.0 and 4.0 mm footprints (45° each). The orientation of the claw is variable by rotation of the shaft.